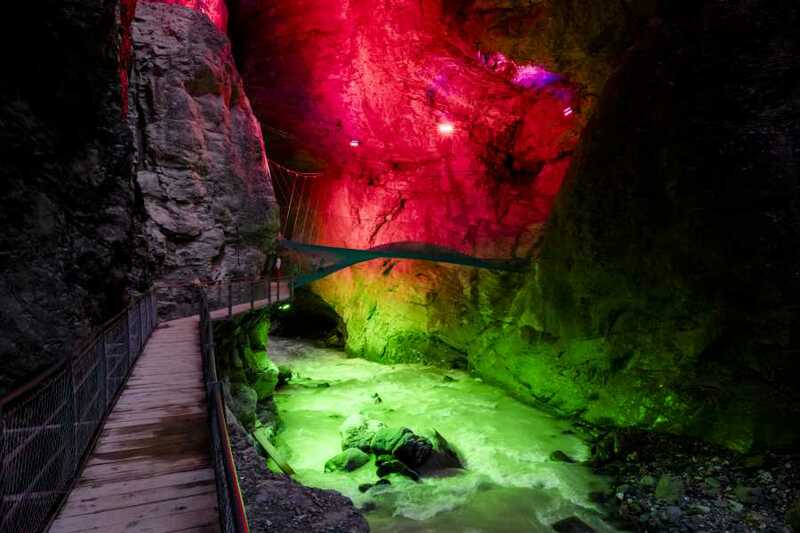 An impressive masterpiece of nature, the Glacier Canyon was formed by the lower Grindelwald glacier, which over time carved its way through the rock in this area. 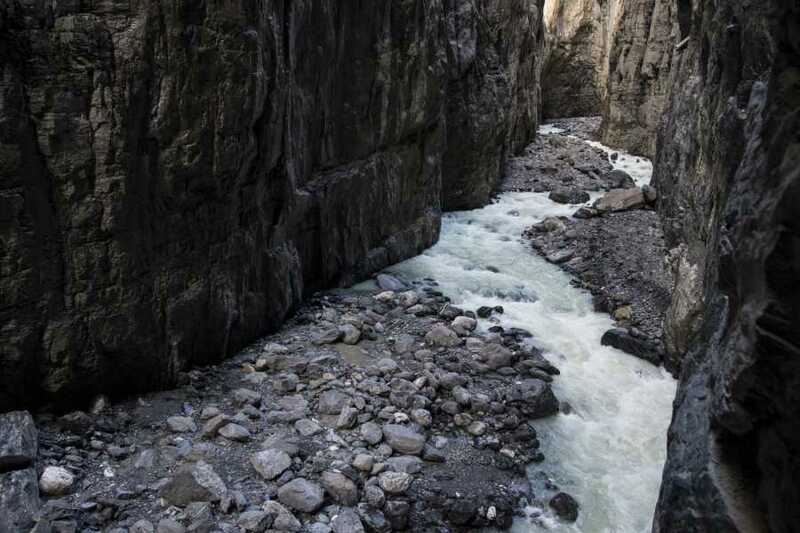 Sadly the lower glacier no longer exists, but the canyon itself is now thriving as a popular destination for a unique sensory walk through its exposed rock galleries and tunnels. 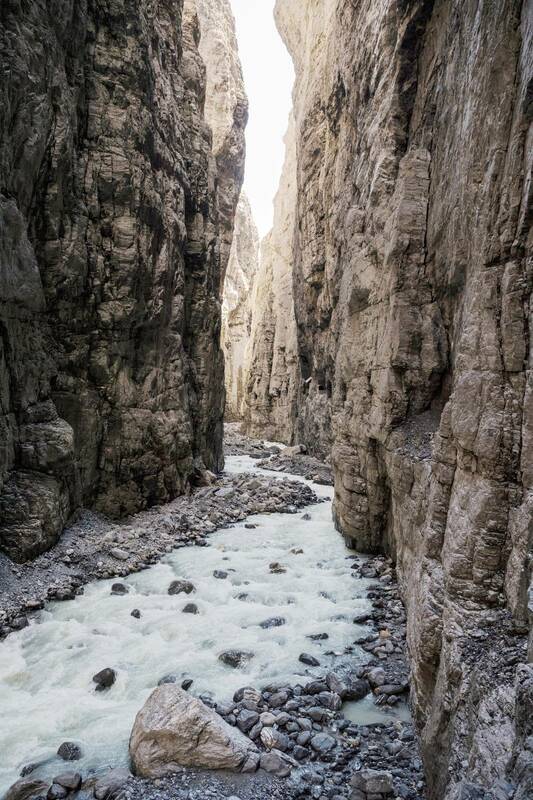 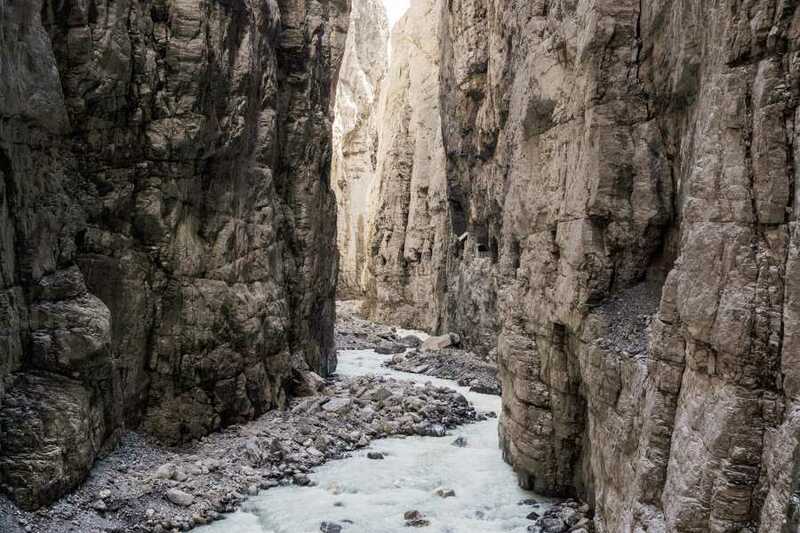 The rushing water cascades freely from the mountains into the Lütschine River below, sometimes causing a sudden rush of wind through the canyon and a rapid temperature flux as rays of light reflect along the steep walls. 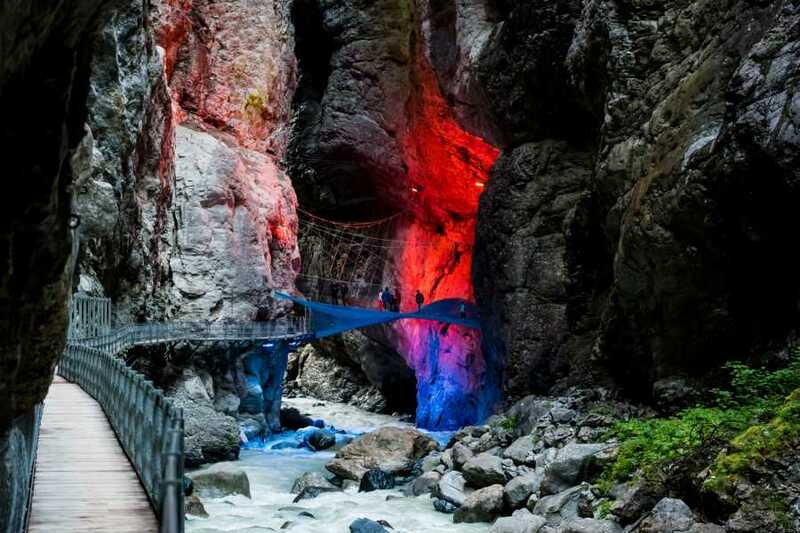 The newly built attraction is divided into six themes: Coincidence, Formation, Geology, Water, Glacier and Myth. 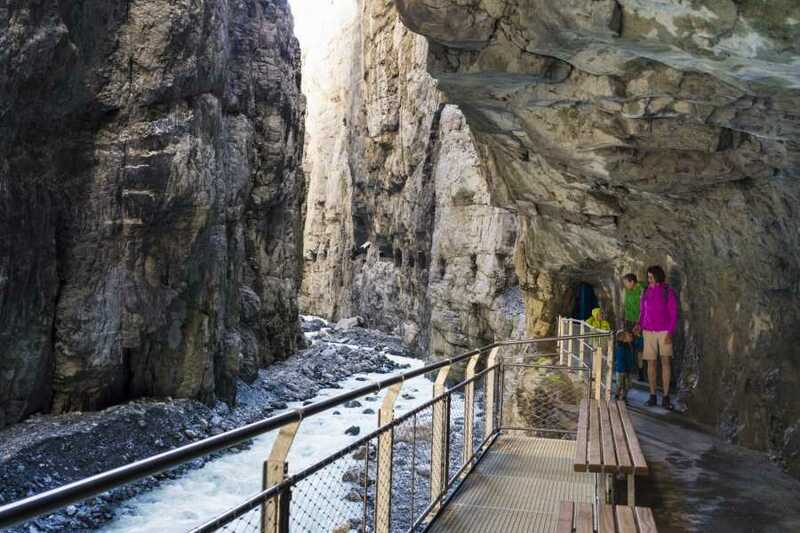 An interesting experience for all ages of visitor, the Glacier Canyon is an ideal, easy-access tourist destination. Its accessibility in all weather conditions also makes it a convenient stop for short tour programs. 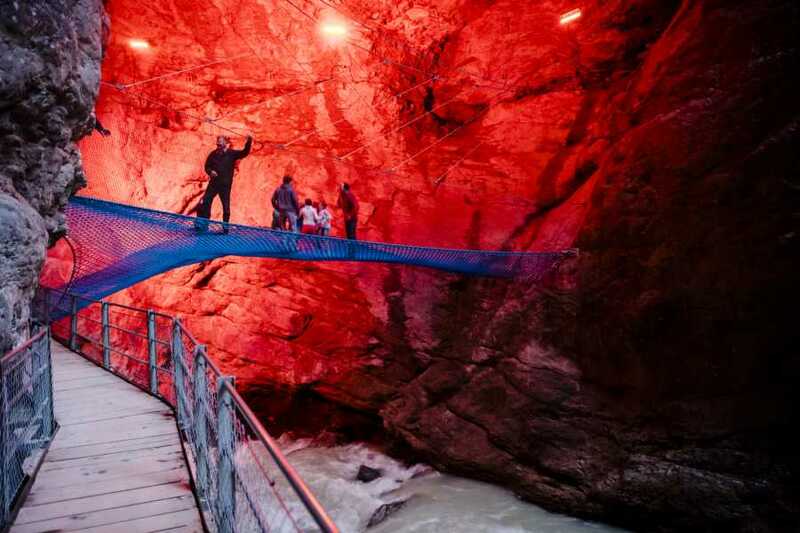 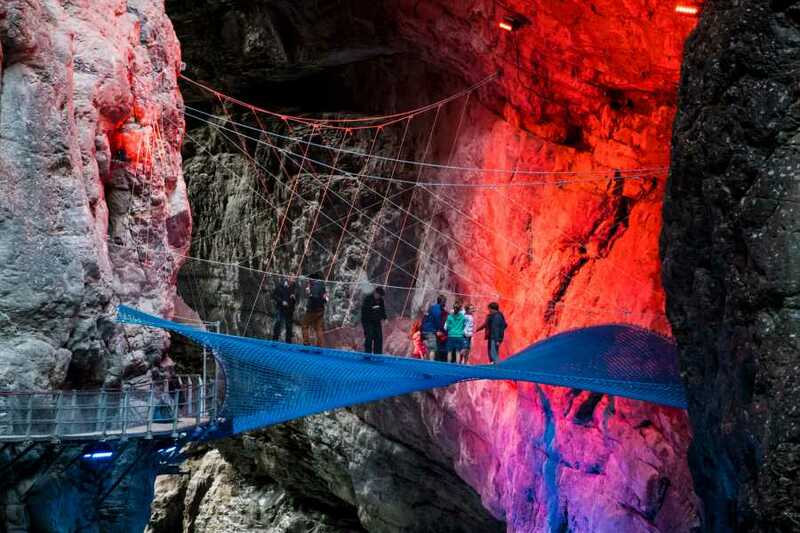 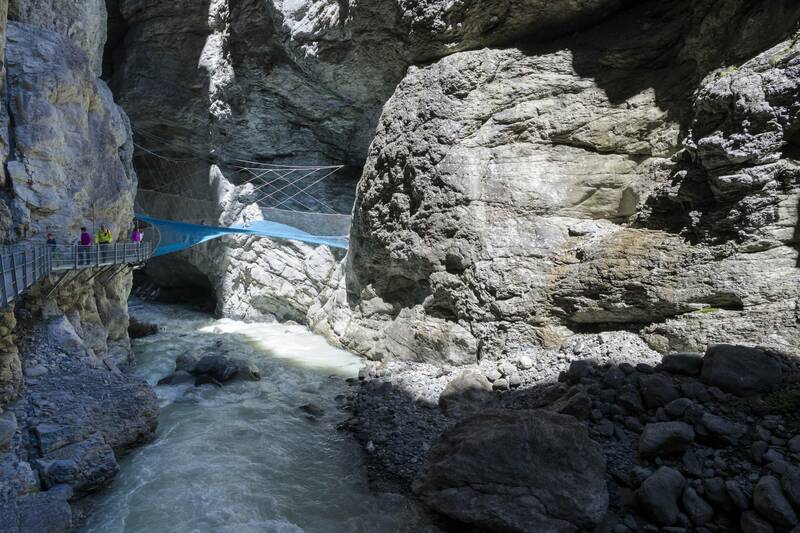 One of the highlights of this attraction is the 170 m2 SPIDERWEB which spans the canyon, providing visitors with a thrilling net platform to scramble, walk or crawl on, seven metres above the roaring Lütschine River. 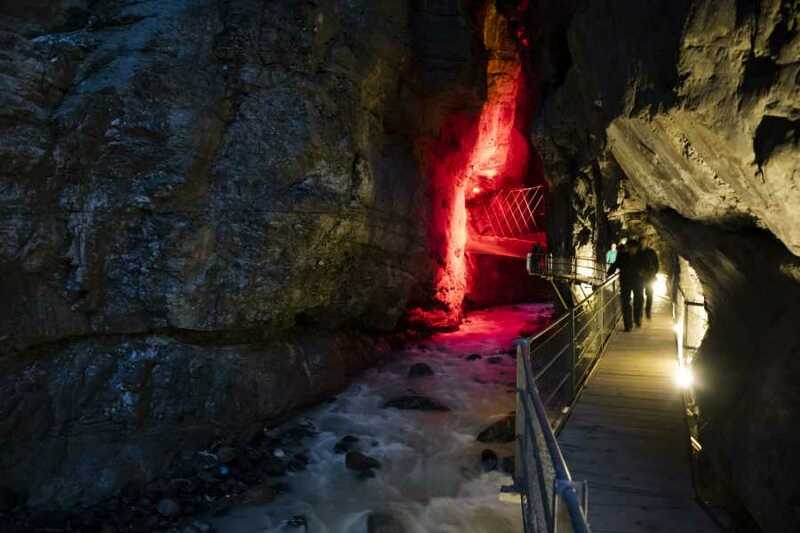 Groups We open "Early Morning" or "Late Night" on request for groups of more than 10 people. 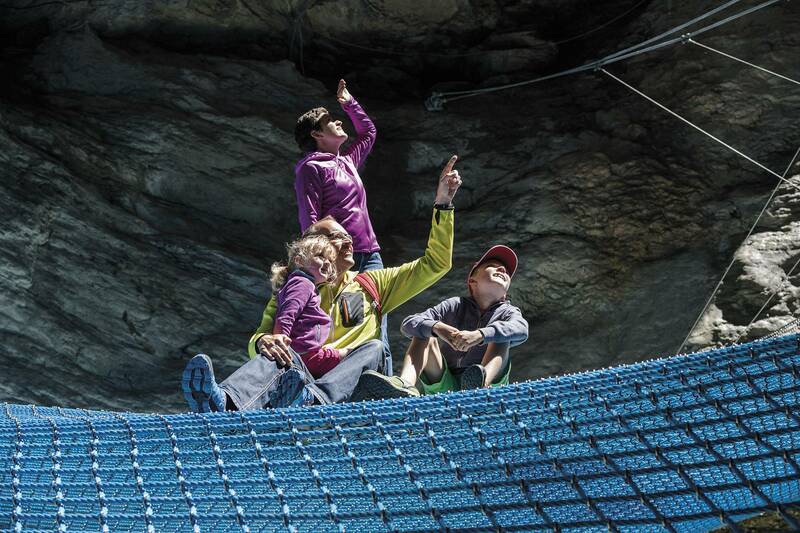 Please contact us for an offer! 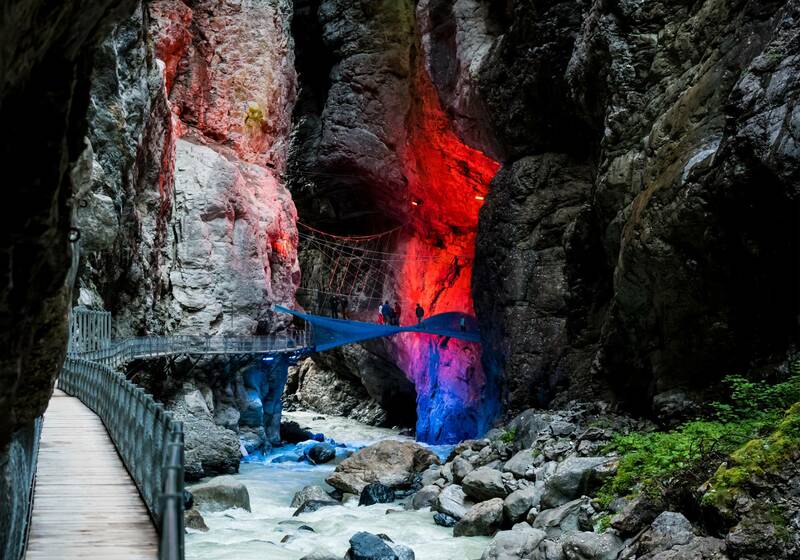 The Glacier Canyon is a 35 min-walk away from the Center of Grindelwald. 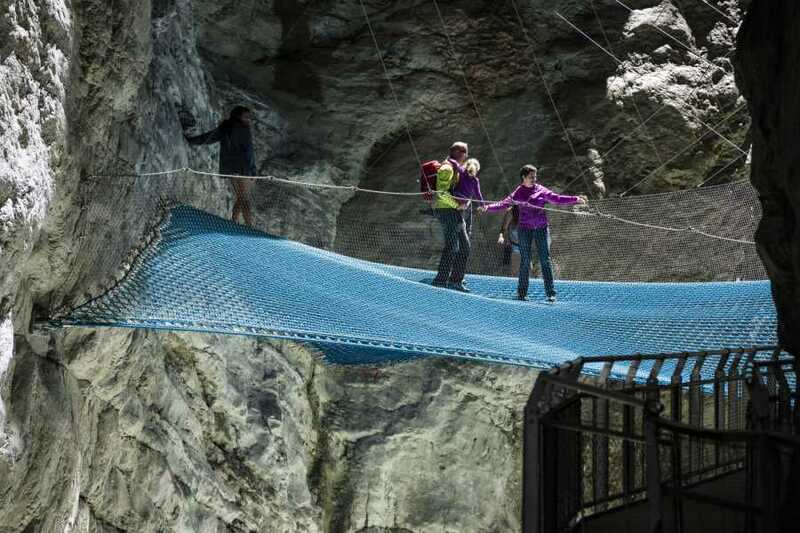 You can also catch the bus at the train station in Grindelwald (line 2). 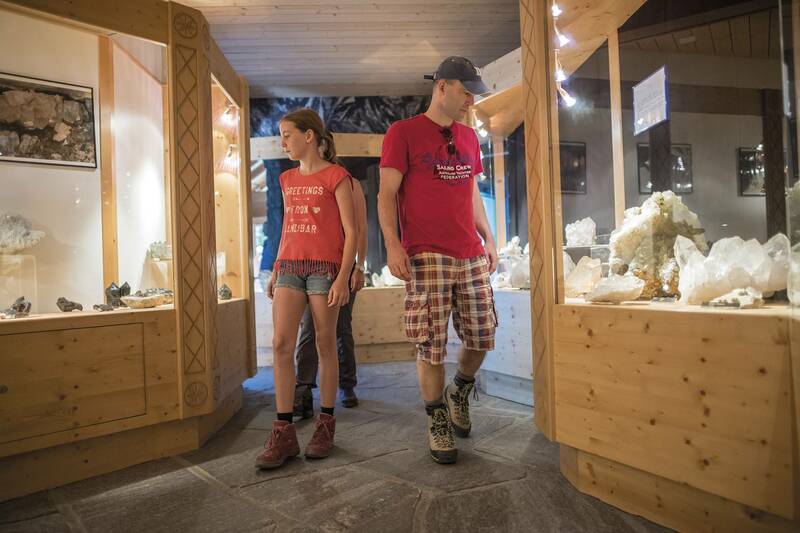 By car, drive through Grindelwald town center and follow the street to the church. 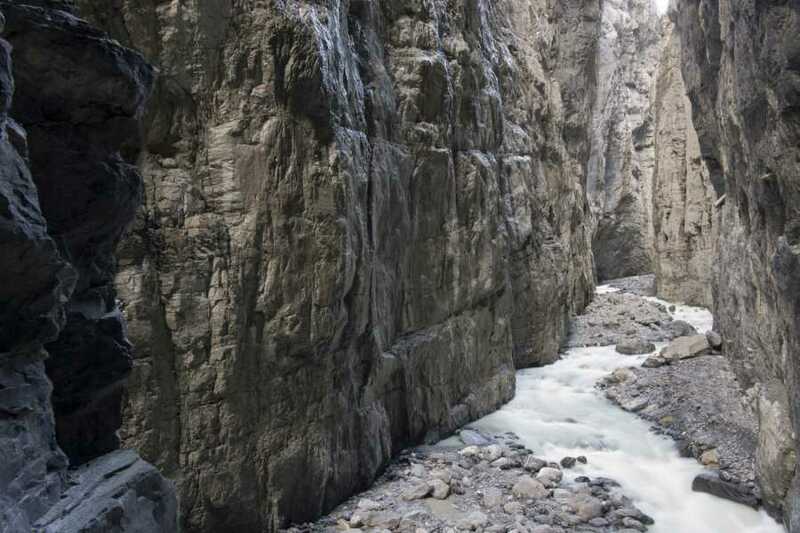 After the church, turn right and follow the signs "Gletscherschlucht" for 1 Kilometer.